So you say you’re not a morning person… That’s about to change! 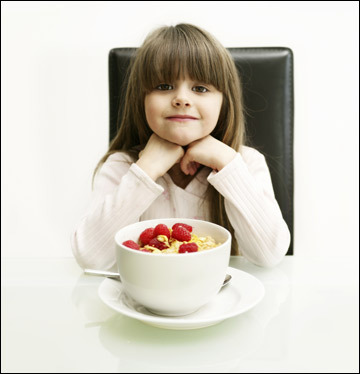 Join the thousands of people who are changing the way the world eats breakfast! After a few days of adding 4-5 tablespoons of Hemp Seed to their breakfast most people report feeling an elevated state of awareness, mental clarity, and sustained energy for the entire day. Because they feel better many people have the strength to change their poor food choices throughout the day and enjoy noticeable improvements in their lives. Coffee in the morning becomes a choice, not a necessity. Since childhood we have been taught that breakfast should consist of bacon and sausage, toast and jam, eggs and cheese, waffles, pancakes, brand named cereals, cows milk and orange juice — however most of these foods are full of saturated fats, cheap carbohydrates, refined sugar and flour. Our bodies naturally reject this type of morning abuse and complain loudly with symptoms like lethargy, irritability and morning doldrums. To help counteract these symptoms most of us finish our breakfast with a cup or two of strong coffee just to make us feel better. This is not how the human body was designed to function! It is no wonder why so many people in North America of all ages are complaining of lethargy, general feelings of fatigue throughout the afternoon, irritability and depression. Many people self medicate these symptoms throughout their entire lives with even more high doses of caffeine, carbohydrates, refined sugars, and saturated fats. This way of life can lead to diabetes, heart disease and chronic illness. The vast majority of people in North America live somewhere within this cycle. With the help of consuming hemp seeds you do not need enormous will-power to break this cycle. After only a few days of adding hemp seeds to your breakfast, you will feel an elevated sense of awareness, mental clarity, and pure, abundant energy for the entire day. Because you feel better you will find it much easier to change poor food choices throughout the day. Blood sugar becomes more stable, vascular disorders often disappear and with the new found energy, life is more fun, and far more productive. Coffee in the morning becomes a choice, not a necessity! Because the hemp seed contains such a high dose of naturally occurring essential fats and proteins many people with food addictions report reduced cravings throughout the day and night. Hundreds of studies have shown that essential fatty acids are essential for healthy cardiac function, insulin balance, mood stability, digestion, and skin and joint health. Dr. Weil is one of the world’s leading proponents of integrative medicine. He has appeared as a wellness expert on The Martha Stewart Show, Good Morning America and CNN’s Larry King. For best results consume 4-5 tablespoons with breakfast each morning for increased physical and mental energy that lasts all day. Miracle Source hulled hemp seeds are the highest quality seeds available.